Chicago Baby Show Ticket Giveaway | A Savings WOW! 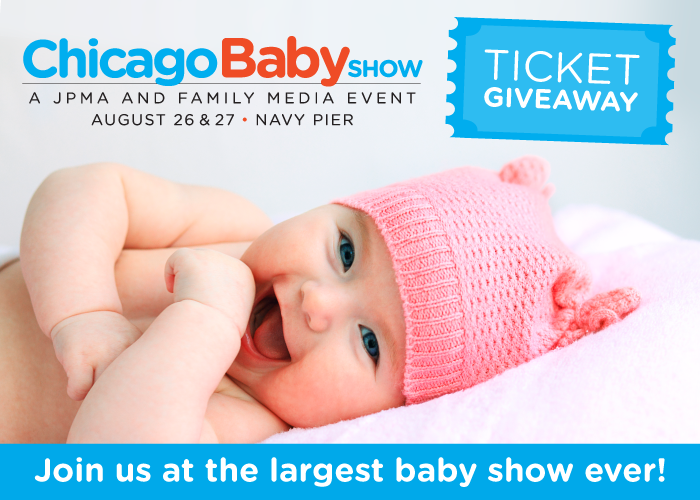 Come out to Navy Pier for the 2017 Chicago Baby Show on August 26 and 27. It will be part of the largest show series for new and expectant parents in the country. Built off the 7 years of success with the New York Baby Show and the inaugural LA Baby Show last year, no other event provides a better experience for thousands of expectant and new families from Chicagoland, seeking a family-friendly jamboree of top brands, great speakers and seminars, big giveaways, and lots of learning, support, bonding, and fun as you make your way into parenthood! The normal ticket price is $30 per family (for 2 adults and up to 4 children) and $20 per individual. Save 50% off our tickets when you use this link to purchase them! Enter to win one a family or an individual ticket to the 2017 Chicago Baby Show! Ten (10) winners will each receive their choice of a family ticket ($30 value) or an individual ticket ($20 value) for August 26 or August 27. I’m excited to hear more about the seventh generation products. I’ve never used them but my friends swear by them.